Simply fill in a few brief details below to compare prices for an electrical inspection report on your property’s wiring and electrical system. It only takes a few seconds for prices and local contact details to appear on your screen. You can then contact them directly to discuss your requirements in more detail and book an appointment. This is a FREE service and there is no ‘middle man’. When do I need and electrical inspection and test? There are several reasons for commissioning an electrical inspection and test. If you’re a landlord you will need to comply with the legal requirement to test your property’s electrics and obtain an Electricians Report. 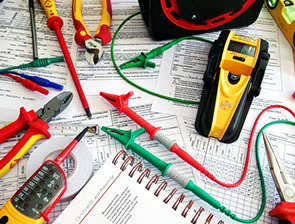 Home buyers are often advised in surveys to have the electrics tested. Even when buying relatively modern properties, DIY botches can be lethal. A test will confirm that the electrics are safe – e.g. an Electrical Installation Condition Report (EICR). If you’re buying an older property with old wiring it would be wise to seek expert advice on whether the building needs a complete rewire or only minor updating. In the case of very old wiring, it may need a full rewire so there’s no point in testing something that you’re going to replace. The electrician would instead advise the cost of rewiring. It’s very common for at least some remedial work to be required to upgrade an electrical installation to make it compliant with current safety standards. 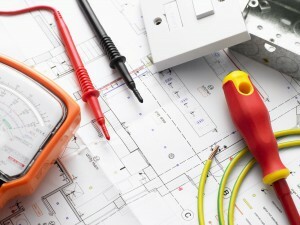 Finding suitable electricians can be time consuming as they can sometimes be difficult to get hold of. Plus you really need to talk to more than one before deciding how to proceed. But by filling in the above form you will be given contact details for several professional electricians covering your area so you can get in touch and progress the job reasonably quickly. It is important that electrical work is carried out only by ‘competent persons’ who have the necessary knowledge, skill and experience to avoid danger. Registered Electricians work will comply with the UK national standard, BS 7671 – Requirements for Electrical Installations. They will issue a safety certificate for their electrical work to confirm that the installation has been designed, constructed, inspected and tested, in accordance with the standard. You should ensure that your chosen Electrician is registered with one of the following organizations: BRE Certification Ltd British Standards Institution ELECSA Ltd NAPIT Registration Ltd NICEIC Group Ltd SELECT (Scotland). Part P ensures all electrical work undertaken within a dwelling (including the garden) is carried out safely by a qualified electrician and that the Local Authority Building Control department is notified of this work. When you come to sell your property a Certificate of Compliance will be required by the buyer’s solicitor for any electrical work – to prove it’s been done safely. ‘Approved electricians’ can ‘self-certify’ that their work complies, and the organisations above will issue the certificate to you and notify Building Control.